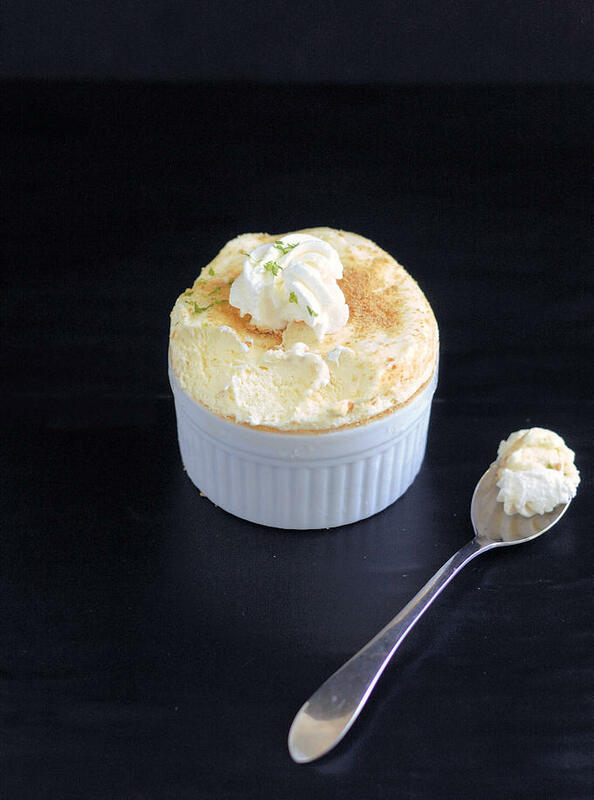 Key Lime Frozen Souffle is a sophisticated riff on Key Lime Pie. If you’re having a summer dinner party, this is the perfect dessert. Make it ahead for easy entertaining. 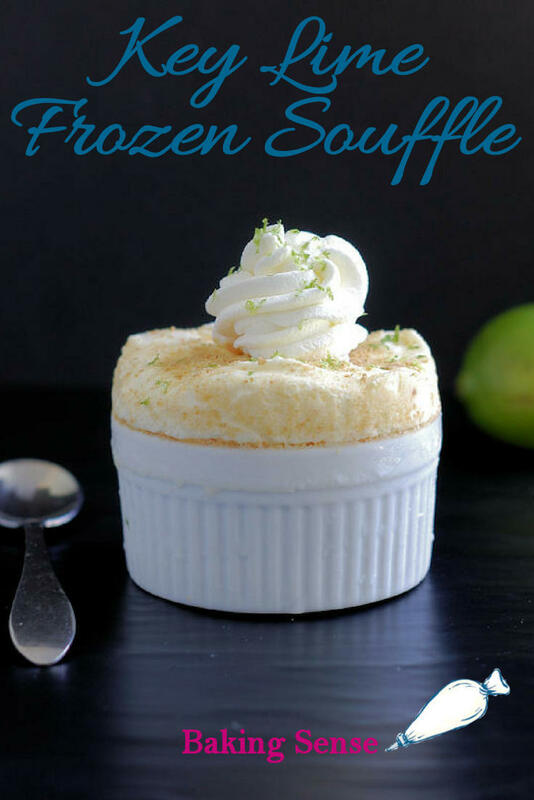 Oooo, Key Lime Frozen Souffle sounds fancy, doesn’t it? 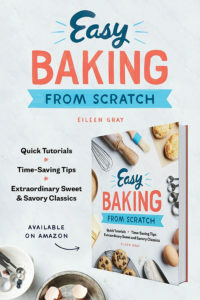 If it’s fancy it must be really hard to make. It must be a finicky and scary recipe if it’s a souffle, right? Nope. Do you know what a frozen souffle really is? It’s just a basic mousse recipe that you scoop into a souffle dish. Let it come over the top a bit with the aid of a “collar”, stick it in the freezer and, et voilà, you’ve got yourself an impressive dessert. I know, I know. How can I casually say, “it’s just a basic mousse recipe…”? I mean, isn’t mousse hard to make? Again, nope. 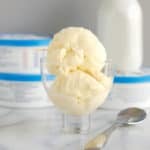 To make a mousse all you need is a very flavorful, thick base, then fold in whipped cream and/or whipped egg whites and you’ve got yourself a mousse. Savory or sweet, it’s the same idea. The thick base for a mousse can be something like a savory goat cheese mix, lemon curd, or a chocolate mix. For this recipe the base is a rich lime curd. 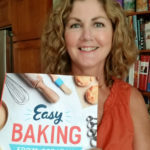 I fold in whipped cream to echo the creaminess of a good key lime pie, and egg whites to make the mousse very light with lots of little air bubbles. 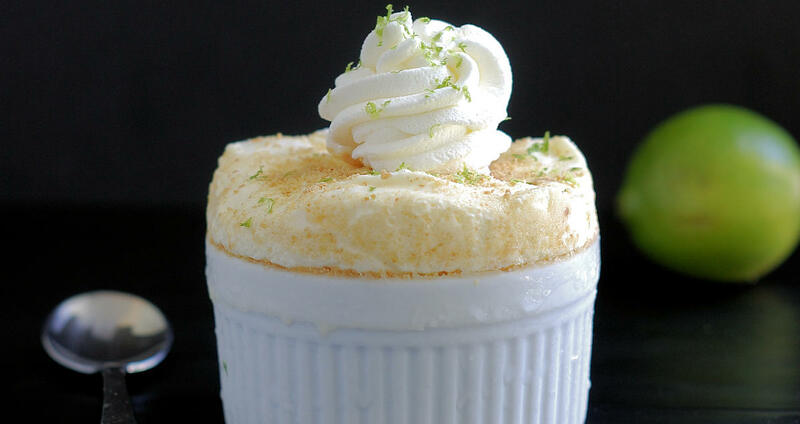 Finally, to really mimic the flavors of key lime pie, I line the souffle cups with graham cracker crumbs. 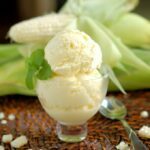 You could serve this recipe chilled in dessert dishes and call it “key lime mousse”. 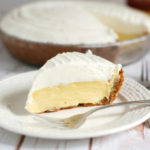 You could also scoop the filling into a graham cracker crust to make a frozen key lime pie. The nice thing about a frozen souffle, or frozen mousse, is that is doesn’t melt the way ice cream does. As it softens it will continue hold its “souffle” shape. I’ll tell you one other secret. 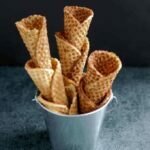 You know those “no churn” ice creams that are the current rage? They’re really just frozen mousse. 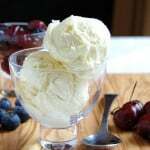 Most no-churn ice cream recipes are made with a thick base (condensed milk) with whipped cream folded in. That’s exactly how a mousse is made. Everything old is new again, eh? 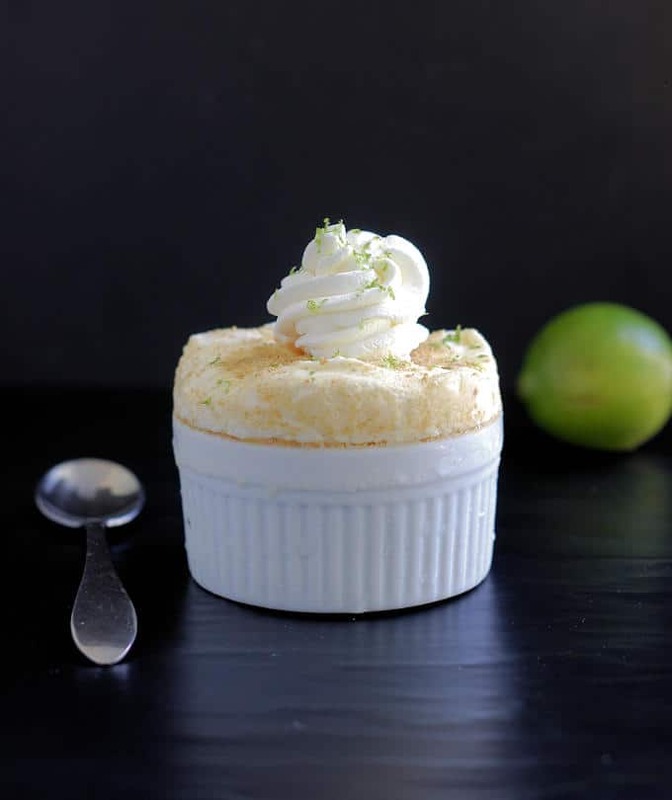 Watch the video to see how to make Key Lime Frozen Souffle. 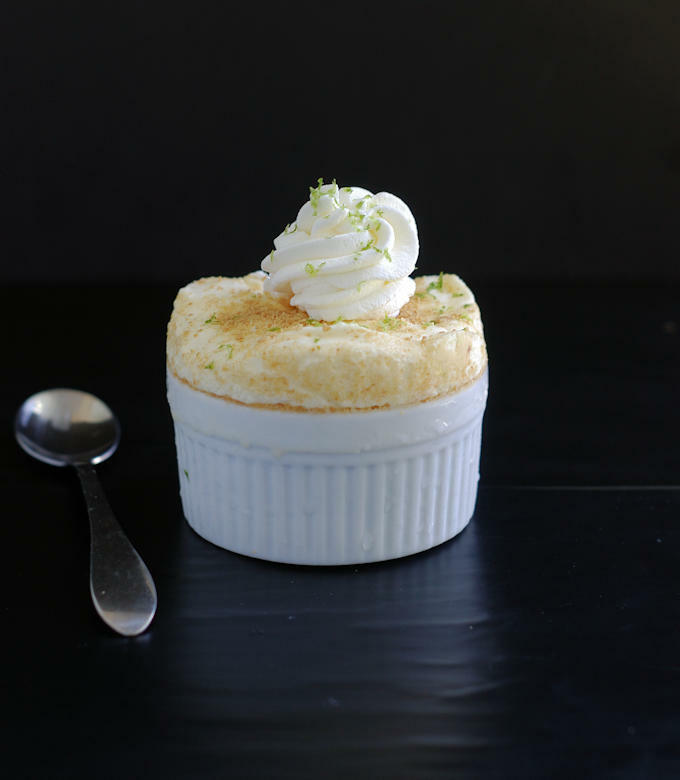 Key Lime Frozen Souffle is a sophisticated riff on Key Lime Pie. If you're having a summer dinner party, this is the perfect dessert. Make it ahead for easy entertaining. Combine the egg yolks and 1 cup of the sugar in a medium saucepan. Add the lime juice, zest and salt. Put 3 oz of the butter into a bowl, place a fine mesh sieve over the bowl and keep it near the stove. Heat the yolk mixture over medium low heat, stirring constantly. You must be sure to keep stirring across the entire bottom and corners of the pot so the custard does not have a chance to stick. The mixture will start out opaque with a fine white foam over the surface. As it heats up the curd will thicken, become more translucent and the foam will disappear. Cook until the curd will coat the back of a wooden spoon or silcone spatula. Don't allow it to come to a full boil. Immediately remove from the heat and pour through the sieve over the butter in the bowl. Stir until the butter melts. Cover and refrigerate until completely chilled, at least an hour. Melt the remaining 1 ounce of butter. Brush the insides of six 8-ounce ramekins with melted butter. Cut 6 pieces of parchment, each 12" long by 4" wide. Butter one side of a strip of parchment. With the buttered side facing in, wrap the top of a ramekin with the parchment to form a collar that extends at least 2" over the top of the ramekin. Tape the parchment to hold it in place. Repeat with the remaining parchment strips. Put the ramekin on a tray. Scoop a tablespoon of graham cracker crumbs into each ramekin. Roll the crumbs around to coat the inside of the ramekins and collars. Dump excess crumbs into a small bowl and set aside for later. Remove the chilled lime curd from the refrigerator. 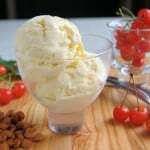 [Whip|https://amzn.to/2A5wGUj rel='nofollow' the cream to full peak and fold into the lime curd. In a clean bowl, whip the egg whites to soft peak. Slowly add the remaining 1/2 cup of sugar and whip to full peak. Fold the egg whites into the lime mixture in 3 batches. 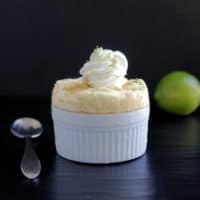 To serve the souffles, remove the collar and top with a sprinkle of graham cracker crumbs, a rosette of whipped cream and a sprinkle of grated lime zest. The souffles can be made up several weeks ahead. Once they are frozen, wrap the tray with plastic wrap to prevent freezer burn.